I have been totally in denial. It started when she turned 5. It’s a milestone birthday but I didn’t let myself get all emotional and bloggy about it. 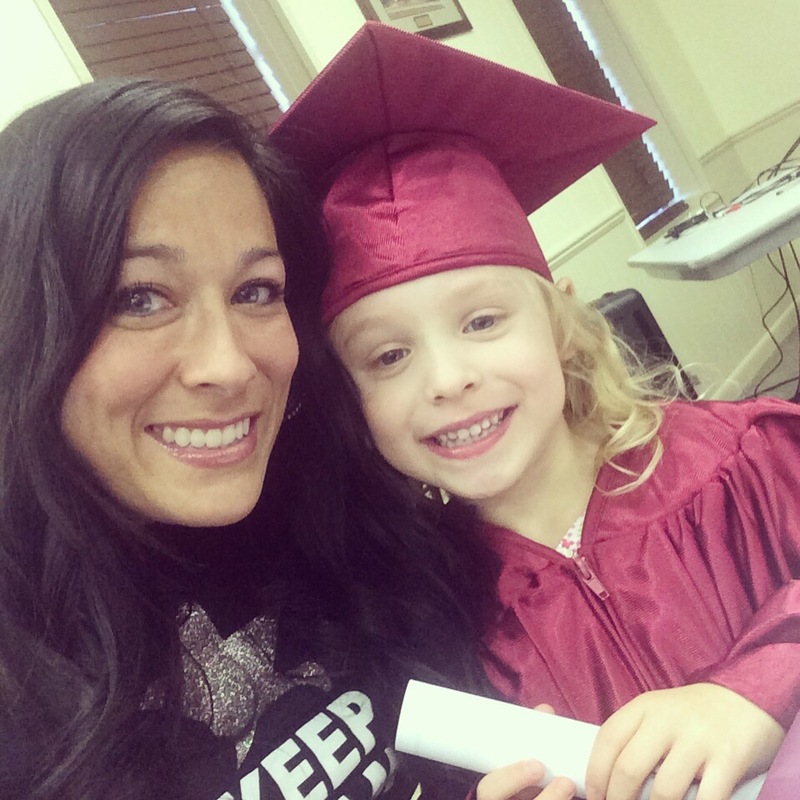 Then she graduated from preschool. And I was proud I didn’t bawl like a baby (although I did tear up). But there’s no avoiding the next milestone or pretending it’s not the complete end of “baby phases” for my sweet Tink. She will start Kindergarten in 40 days (but who’s counting?) and she is beyond excited. She is such an independent little spirit and lately it seems she’s preparing me for her next big step. She wants to do everything, and I mean everything, by herself, without help. Walking up to swim lessons without me, fixing her own hair (heaven help us), and this morning, it was buttering her own pancakes. 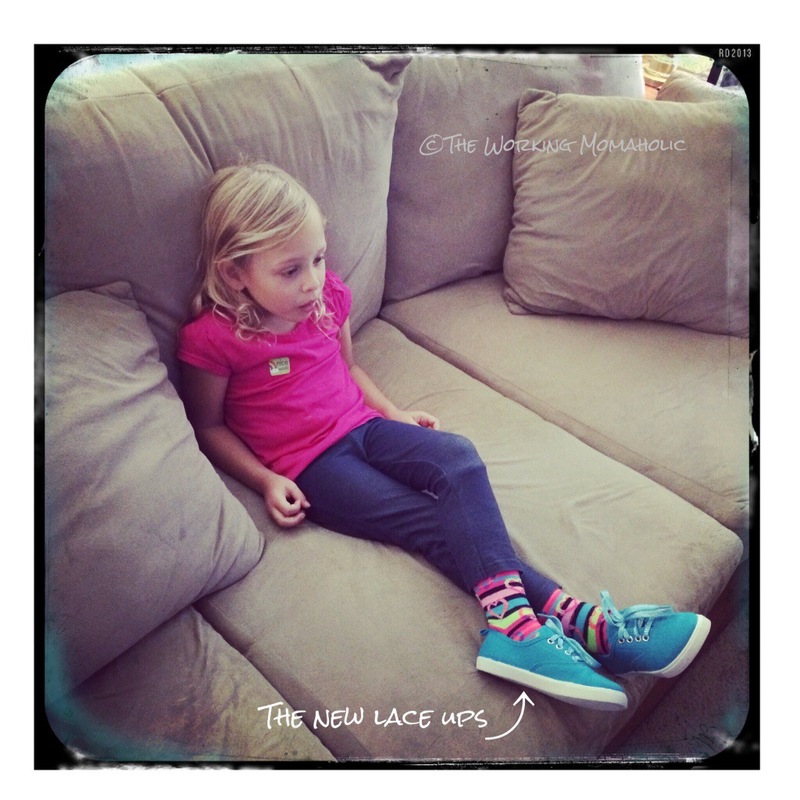 Today we also got her a pair of shoes with laces so she can learn how to tie shoes before starting school. This was actually my idea because I would like to save a little of her teacher’s sanity. And then my heart broke with pride. This motherhood gig is alright. It was bound to happen at some point today. Oprah’s ugly cry made it’s way to my face just moments ago. I’m looking at all these beautiful pictures and these moments from today. 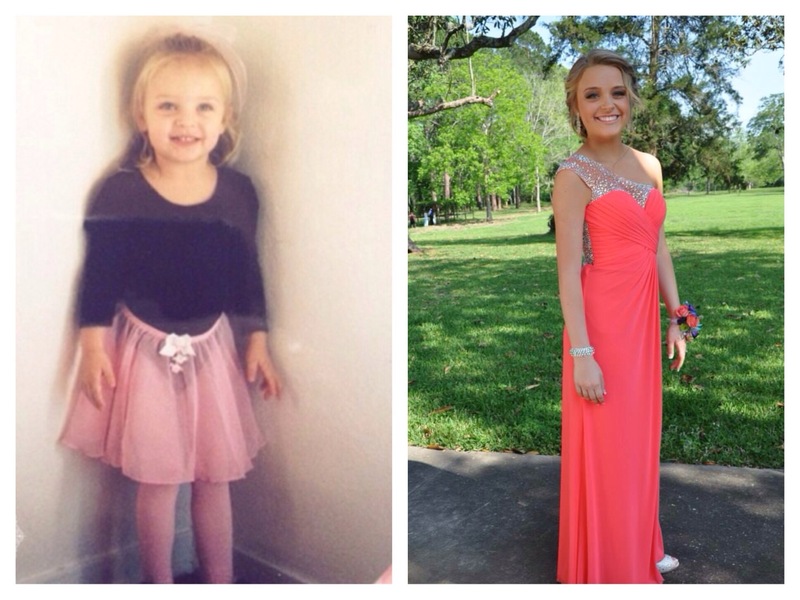 When did she grow up?!? 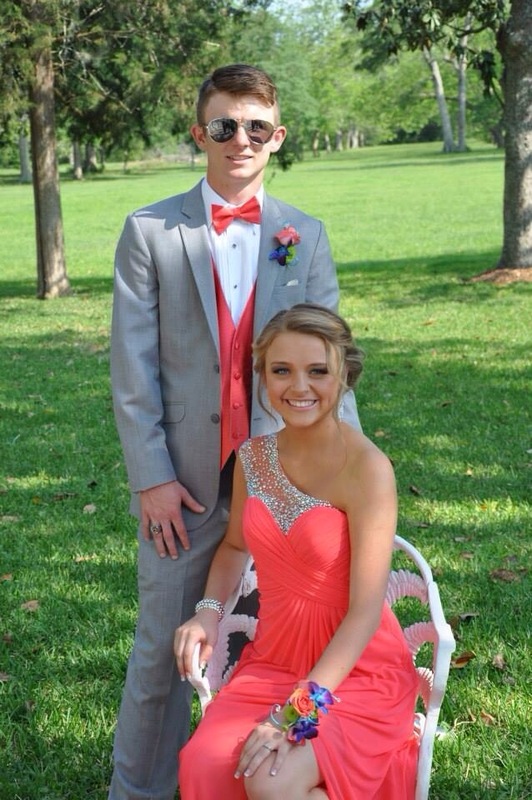 It’s like one minute her daddy is introducing her to me and the next we are here, taking pictures for prom. The last ten and a half years have vanished. She is so beautiful. But more than that she’s a gem on the inside, too. 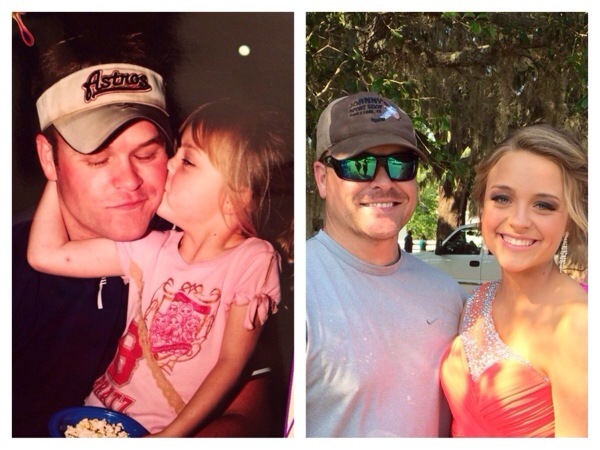 So glad I’ve had the last decade to experience life with her and watch her grow. Such a blessing to to have this life, to love this family, to live these moments. I want to memorize it all. Every second. I think it’s just time I came clean. I am not a made-for-Pinterest mom when it comes to parties (and pretty much everything else). My youngest girl turns 5 next week and we’re having her party this weekend. I spent hours scouring Pinterest for ideas pertaining to all things Frozen (the latest Disney blockbuster) and daydreaming about all the possibilities. But somewhere between the pinning and the planning I totally lose all desire to go over the top. Y’all, what happened to the days when it was cake, ice cream and, if you were lucky, a piñata your mom scored at the grocery store? That’s my kinda party. No color coordinated napkins, plates, table clothes, banners, tissue paper chandeliers, triple tier centerpieces, candy buffets, fancy paper straws…and the list goes on. It seems the birthday party has become the new wedding in terms of planning the little details. In the mix of all the super adorable pins I’m tempted to go all Tori Spelling Party Planner with it but then I realize it’s just a ridiculous amount of time and energy spent that I. Do. Not. Have. My daughter won’t know the difference anyway. The only details she’s asked about are who’s coming and whether or not she gets a cupcake. So, I’m just rolling with what I’ve got so far. Mismatched plates, homemade cupcakes (not from scratch), and a million hot dogs (thank the lawd I won’t be cooking them). 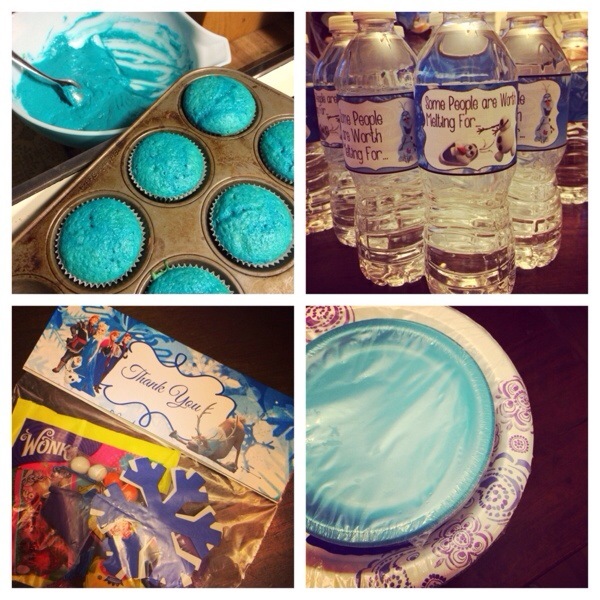 Lucky for me, there was a Frozen freebie that I printed (back before my party zeal wore off) for cupcake toppers, favor bags and bottle labels. That’s the extent of our Disney regalia. Oh, and there will be a bounce house. Because that requires no assembly by me and I love jumping in them it’s instant entertainment. Sometimes, I have to stop and pinch myself. This life, it’s pretty amazing. Tonight, I finished vacuuming and put away laundry after working all day; mundane stuff. That’s when I heard it…the sound of hearty laughter coming from my room. I snuck down the hall to peek in the doorway and found that all three kids (15 yrs, 12, and almost 5) were involved in a very intense wrestling match/tickle war/airplane ride on my bed. I stood and watched for a while. Listened to their laughter, watched their smiles and red faces as they pummeled each other and tossed themselves down on the plush white comforter. This image…this is what happiness looks like. I ignored the urge to go grab my phone for its camera. Instead, I just stood there, soaked it all it and said a prayer of gratitude for each one of them. My heart aches it’s so full of love for these people. 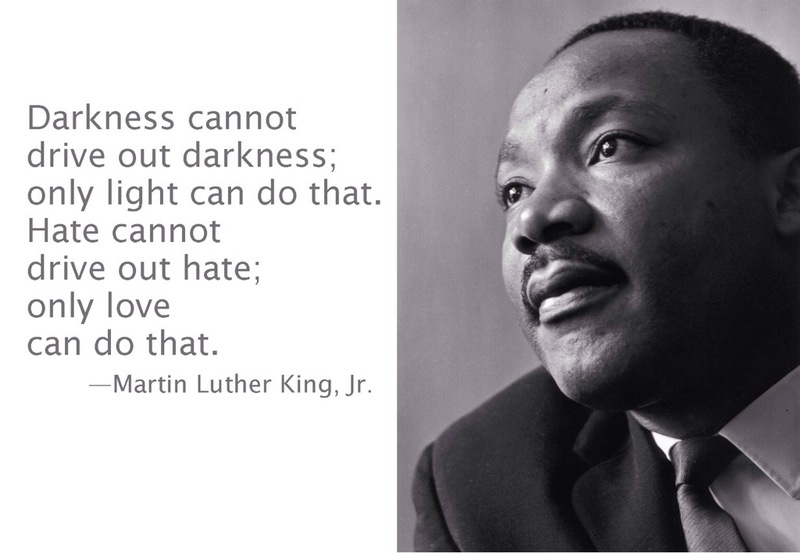 It’s Martin Luther King Day and with the day off I’ve had time to reflect on what today is for. I’ve also had time to ponder the importance of teaching my youngest about Martin Lither King, Jr. and the history he represents. How do you explain the civil rights movement to a 4 year old who has no concept of such hatred in the world? How do you tell her that there was a time (not that long ago) that her uncle, an amazing man who loves his wife with everything he has, would have been beaten for looking admiringly at her aunt? How do you tell her that some of her friends wouldn’t be allowed to go to her preschool? That she would be expected to hate them based on the color of their skin. She doesn’t see color, not in the way the world does. She doesn’t categorize the importance of people based on the color of their skin, what they have, or who they love. She simply loves those who love her. It breaks my heart to know that she will learn, at some point, that there are people in this world who place greater value on the color of your skin rather than who you are as a person. It is my responsibility as her mother to equip her for encounters with people who have this mindset. I will teach her about love. 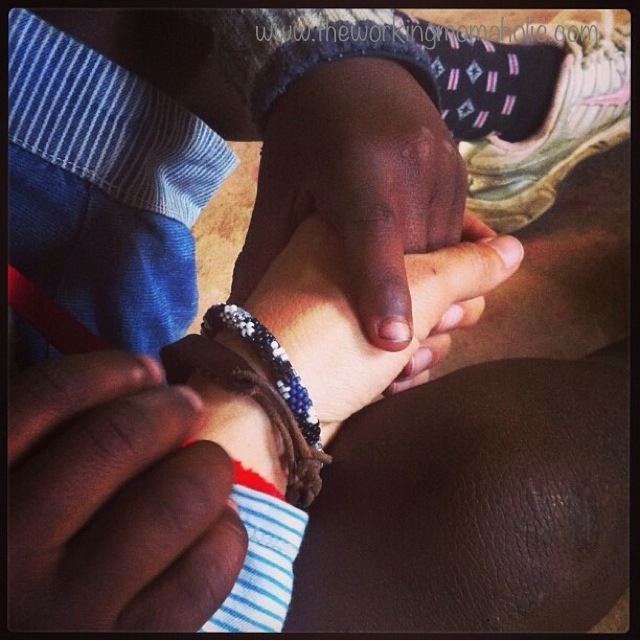 Loving others regardless of the color of their skin, what they have or who they love. Loving others when they are less than loving to you. Loving others who stand for something you’re against. Those last two are the tough ones. But if I am to be the kind of mother I feel God wants me to be, I have to be examples of those to her as well. I want her to stand up for what is right but not hate those who are wrong. 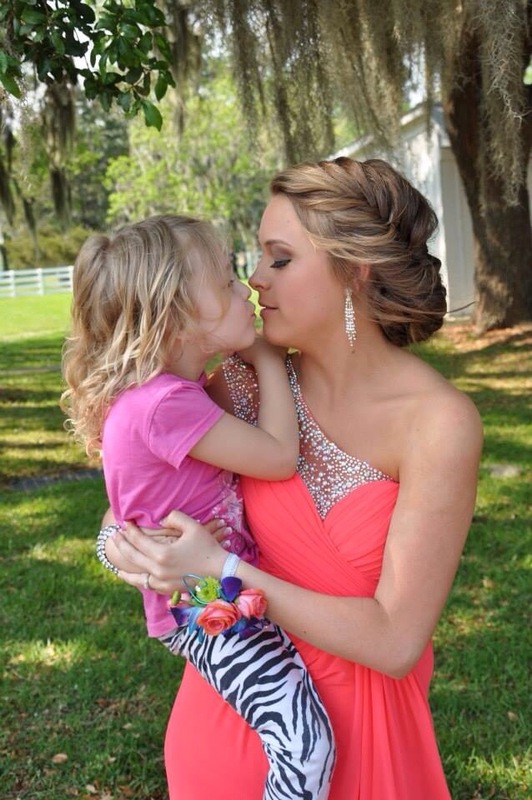 Our children aren’t born hating others; it’s something they’re taught. Parents, as we raise our children, let’s teach them to love before the world teaches them to hate. 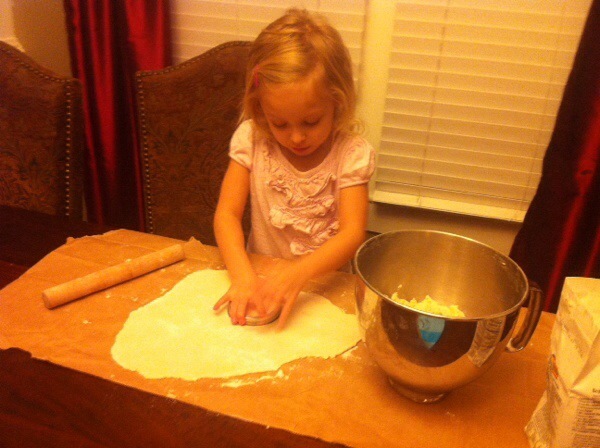 Tonight, AH and I made salt dough ornaments together. This craft is particularly special to me because I used to make them with my great aunt when I was a kid. 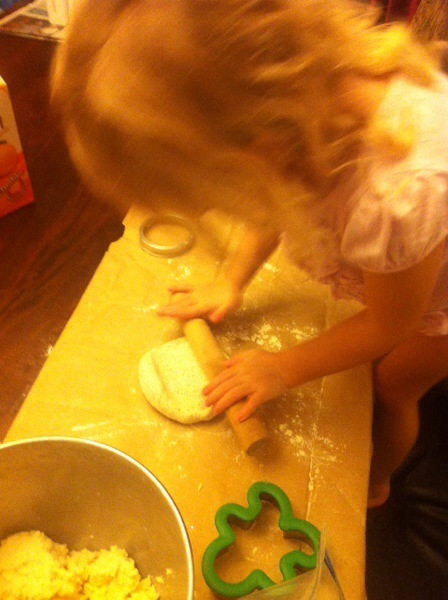 She had ridiculous patience with me in the kitchen (something I am probably lacking with AH). I had pictured this whole Pinterest Board/Hallmark commercial moment in my mind of fun holiday craft time but she wasn’t as into it as I had dreamt up. She was a little lackluster about the whole thing. 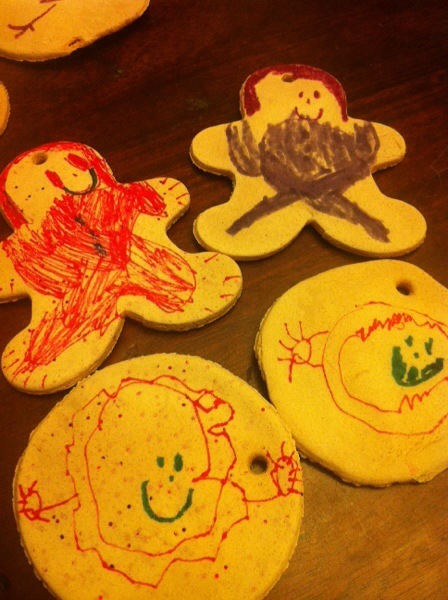 Until it came time to use the gingerbread cookie cutter and then again when it was time to decorate. She loves to draw so I gave her some markers and let her do her own thing. 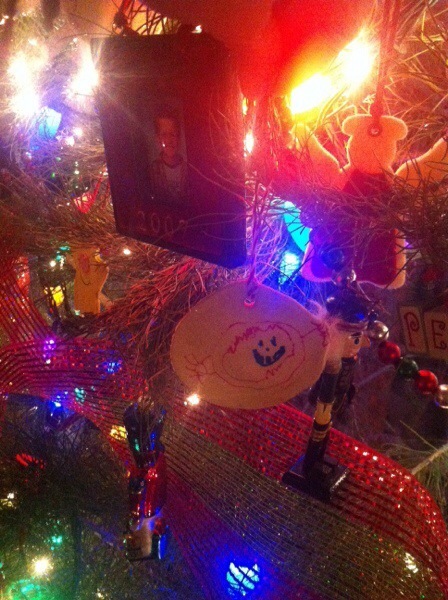 It fits right in on our mismatched, kids’-crafts-over-the-years, memory collection of a Christmas tree. They’re so cute and totally her creation; Un-hallmarked and Pinterest board free. I haven’t written on my blog in a few months. I meant to. Started several posts even. But for one reason or another (a.k.a. It was summer and I was livin’ life, yo.) I never finished a post. And it was a bit refreshing not sitting in front of a computer to write or going back to over-edit something I should just publish. I really enjoyed my first summer off as a teacher. I slept in (8:30 is sleeping in when you have a 4 year old). I got to spend my days with the bigs, LD and JD while they were here for a month during the summer. I read, baked, had picnics, watched JD teach his little sister AH how to fish and LD teach her little sister how to take selfies. 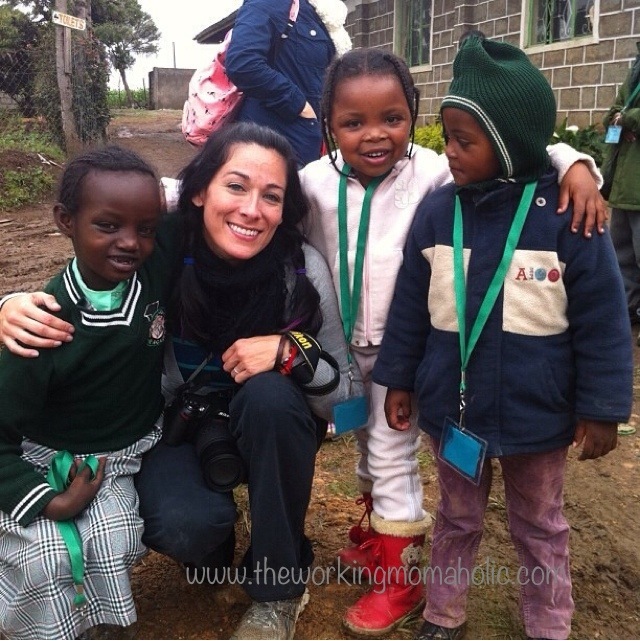 The last part of my summer I was fortunate enough to spend in Nyahururu, Kenya on a mission trip. Y’all. I don’t even have words to tell you how amazing it is there. The scenery alone is enough to renew your faith in God. I knew I would be a changed person. At least I prayed I would be. A group of 25 of us were going to put on a children’s Bible conference at an amazing children’s home and boarding school. Roughly 350 kids attended, ages ranging from preschool up through about the age of 14. 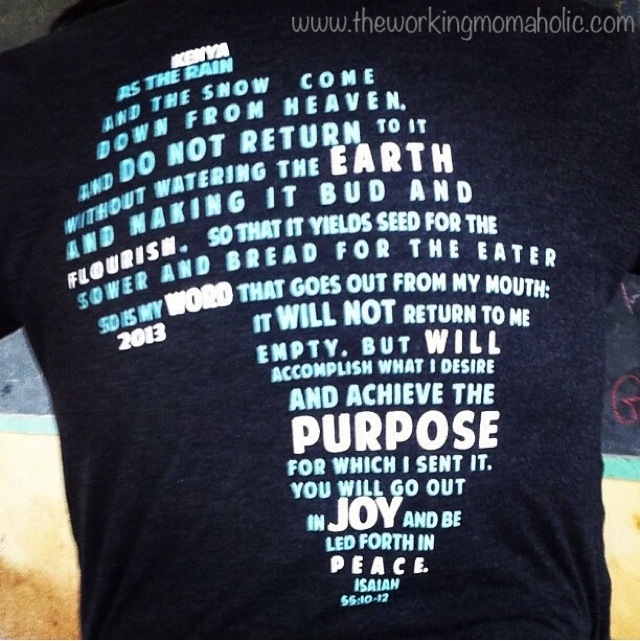 Since being back home, I’ve talked about Kenya to anyone who asks about our trip or anyone who will let me. There’ve been a couple times when I’ve talked for a while about the kids we met at the orphanage, they stop me and say, “Well, did you see any cool wild animals?” And then I realize that a safari story about wild animals may have been more of what they had in mind. I get to Africa and and I’m amazed that I’m even there. I can’t believe it’s even real. And then we get to the orphanage. I see these beautiful faces, their smiles, and I fall in love with them. But these kids are so welcoming. They walk right up to you and hold your hand, talk to you or touch your hair. Some ask you questions about where you’re from or what it’s like back home. One asked me if I had babies and if I knew where they were. Later, it dawned on me that as orphans, mothers may not know where their children are just as orphans don’t know where their parents are. These kids don’t have iPhones. They don’t have American Girl Dolls or bicycles. (Some of the kids from the villages that came this week had never even seen swings before). Everything they own fits in a trunk. And yet they are grateful. They have joy. They have dreams of being pilots, teachers, doctors and pastors. Their joy isn’t the kind that is brought on by the newest toy or gadget or how many likes they got on Instagram or Facebook. It isn’t from all the shiny new gifts they get at Christmas. Their joy comes from things we take for granted but they see as blessings. Their joy comes from their faith in God and the hope that one day He will bless them with an opportunity, a way to make their dreams happen. Hope in the future. I look at my own kids and I am so grateful. They are kissed each day, told they are loved, tucked into warm beds and go to sleep knowing they are cared for. They belong to a family, blended as it may be. Who tucks them in at night? Are they warm? Who tells them they love them each and every day? This orphanage (and the amazing people who run it) instills hope in them. Teaches them their lives can be changed by The Lord. I hope our being here to serve them, to love them, and to pray for them lets them know that God has not forgotten them; they belong, they are His.